It’s an exciting time for your business! You’ve chosen a design and basic layout. After weeks of back and forth with your designer, you’ve finally settled on the perfect shade of blue for your accent color (Deep Sky Blue 4, #00688B). Everything is on track for your website launch: In fact, you don’t want to jinx anything, but you may actually have your website up and running when you expected it to be. Now there’s one step that you still have to complete: marketing your website to a list of email subscribers who are interested in the site and what it has to offer. But how do you do that if you don’t even have a website yet? It’s not impossible to market your upcoming page or product launch. In fact, many companies are able to successfully create a large demand for their products or services in their prospect base, even if they don’t have anything to sell. After the launch of its latest iPhone, Apple sold over 10 million units in three days, mostly because of savvy pre-launch marketing. To create this type of demand using email, you’ll need to focus less on the particulars of your site and more on making people excited about what it will offer. There are a few techniques for pre-launch marketing that are particularly well-suited for e-mail correspondence to help build interest in an upcoming website. It’s certainly important to use words to connect with your list, but don’t forget about the tremendous power of video and pictures. YouTube is the Internet’s second-biggest search engine after Google, and roughly 100 million people on the Internet watch a video every day. You might think about including a picture of some of your team members working on an upcoming project or even building the website itself. If you are preparing a website launch in conjunction with a product launch, you might include an image of the product’s specs or a half-built version of the product to help catch the attention of your prospects. As Voltaire once wrote, “the secret of being a bore is to tell everything.” It’s important to give your audience details about your upcoming website and what it will feature, but be sure to leave out some important information to build curiosity in your email list. Email is an excellent channel for this technique because it allows you to follow up with your list at specific intervals. For example, you might create an email series that has three different bits of information that seem like they are disconnected, only for the connection to become clear once the recipient receives all three emails. You can also use this technique as a way to get more information about your prospects. Provide a bit of information for them in an email, then link to a landing page where visitors can give you more details about themselves in exchange for more information about your upcoming website, product or service. 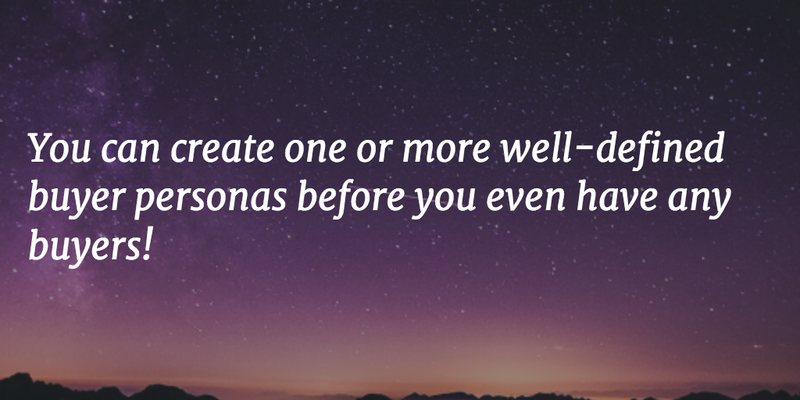 This is an excellent way to create one or more well-defined buyer personas before you even have any buyers! Why are people willing to wait in line for days at a time to purchase the latest iPhone, or buy a luxury vehicle when a normal one will get them where they need to go? Part of the reason is exclusivity. They know that owning that new phone or driving that high-end foreign car makes them a part of a club that not everyone is a member of. Whether it’s right or wrong, marketers take advantage of this principle all the time. To test this principle, a few years back entrepreneur Steve Whyley helped create the 11K club, an experiment in exclusivity marketing. No one was told what the club was or what the benefits of signing up for it would be, only that the club had a limit of 11,000 places, one exceptional benefit, and would stop taking applications on a specific date. The results? Over 13,000 people ended up applying, proving the idea that exclusivity is a strong marketing tactic even when prospects literally have no idea what you are offering. To take advantage of this concept in your own pre-launch marketing, make sure that you let your email list know that they have a chance to become part of an exclusive group that has early access to your services or website, can pre-order your products, or will soon receive information that is not available to the general public. Many companies that have great coming soon pages play on this element heavily in their marketing efforts. In the digital age, consumer interest is more fleeting than ever before. Even if you have been able to build enough interest in your website, products or services, you have to make sure that you time your emails correctly or you will lose it. Write too often and you run the risk of annoying your recipients and causing them to unsubscribe. Too infrequently and your prospects will forget about you. These are the basics, but you’ll also want to think about the timing of your website launch when sending out email messages. When it’s closer to your launch date, it’s okay to send email messages more often, but don’t bombard your list with messages and then drop off their radar for weeks: this will only confuse people. Every website exists to solve a problem or meet a need that your prospects have. Part of your pre-launch marketing research should be discovering what specific issues your website addresses for your target audience. For example, if you are a vacuum cleaner company getting ready to launch a website that sells new vacuums that are more powerful than your older models, the problem that you are solving isn’t the need for a stronger vacuum: it’s about making a more efficient vacuum that lets people spend less time cleaning so that they can spend more time doing the things they enjoy. When you reach out to people who are on your email list, all of your messaging should revolve around the problem you are solving. You don’t have to spell it out explicitly on your first correspondence, but eventually you should be focusing on a challenge or obstacle that your website helps people get around. Every pre-launch email campaign has its own nuances and requirements: you’ll need to spend plenty of time thinking about yours if you want to appeal to your list the right way. Incorporating these techniques will get you started down the path to success so that you can create a crowd of raving fans ready to beat down your (virtual) door once your website is launched. 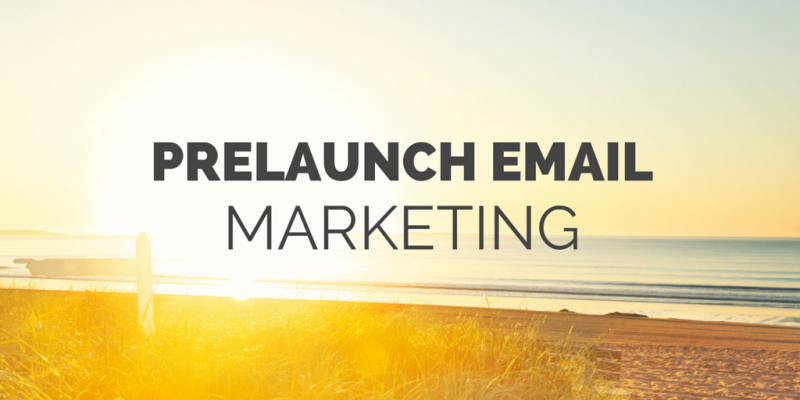 Are there any tips for pre-launch email marketing that you have found particular success with? Let us know in the comments, or send us a tweet @SeedProd.